Johnny Hayes & the Loveseats Just Released Their Debut Self-Titled Album! Download Today! 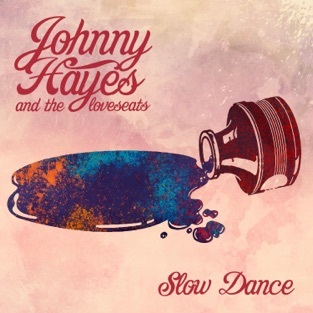 Support Johnny Hayes & the Loveseats and get their first iTunes single "Slow Dance"
Johnny Hayes, born and raised in Mobile, AL began playing acoustic cover shows while attending The University of Alabama. Even after graduating with a degree in Public Relations, he knew that music was his true passion. So in 2011 he moved to Nashville, Tennessee to help challenge himself and learn how to play and write with some of the country’s most talented artists and songwriters. 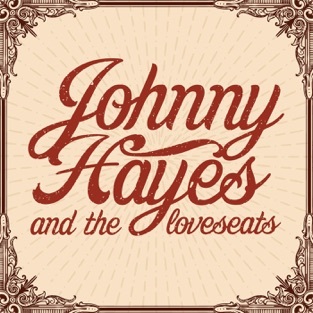 After getting his feet wet at a plethora of writers rounds, showcases, and local band jams; Hayes started his band Johnny Hayes & the LoveSeats two years later. They quickly gained popularity playing their unique array of covers from artists such James Brown and Otis Redding mixed with their rock, country, and soul influenced original songs at private parties, local festivals and bars, and various other venues in Nashville and across the southeast. After 5 years in the music city, Johnny landed an audition on Season 11 of NBC's The Voice, but received no chair turns, thus having no chance to advance further in the competition; but after years of practice, songwriting, shows all over the country, and several grueling years working in his Father's lawn maintenance business, resiliency kicked in when Hayes was given one more shot to audition for Season 12. Johnny's rendition of Otis Redding's classic cover “Try a Little Tenderness” caught the attention of Gwen Stefani and Adam Levine getting two chair turns and a spot on Team Adam where he advanced to the top 24 live rounds. Since then, he and the band have been touring in support of their debut self titled full length release, Johnny Hayes & the LoveSeats, presenting their unique brand of rock n' soul music smothered in southern-charm, and keeping their audiences craving more with originals such as “Sweet Salvation” and the crowd favorite “Straight from the bottle”. The album can be found on Spotify, iTunes, and all digital platforms.